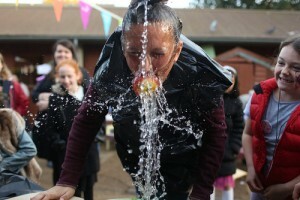 On Sunday we celebrated all that is apple at our annual Apple Day Event. It was a busy afternoon of games & activities and, of course, tasting a wide variety of UK heritage apples. In the process over £2000 was raised in support of the farms’ maintenance and care of the animals. Thank you to all our volunteers who made the day such a great success and special thanks to members of Friends of the Farm, UCL (University College London) and ASL students (The American School in London) and The Unknown Band who provided live music throughout the afternoon. 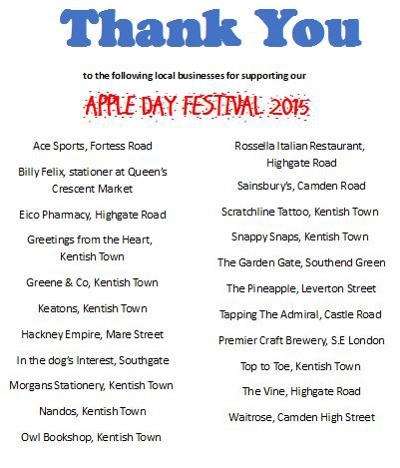 Appreciation and thanks to the many local businesses who generously supported the fundraising event with their services and products.